The votes are in and and several different sources have selected their top books for 2011. Three of them are listed below as you consider what to spend your time reading nexts year. Tim Challies top book list: Challies is an uber-blogger and mega-reader, so his list is worth paying attention to. His list covers his favorites rather than the best books, so it’s different than Monergism’s or CT’s. It includes a book on hosptiality, public schools, biographies and marriage. 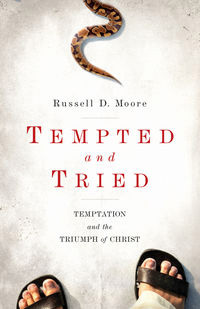 The one book that is recommended on all three lists is Tempted and Tried by Russell Moore. Tempted and Tried is about the spiritual battle of temptation. You can find a more detailed summary at Monergism Books. For lists of all time book recommendations based on how long you’ve been a Christian, review the new Christian, growing Christian and mature Christian pages. If you need ideas for parenting books, take a look at the How to Parent page. This entry was posted in Discipleship, News and tagged best Christian books of 2011, highly recommended Christian books written in 2011. Bookmark the permalink.